Posted May 14, 2013 |No Comments |Tedd Koren, D.C.
Is it right to criticize childhood vaccination? 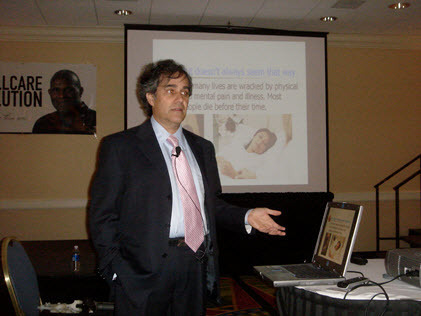 Over the years Koren Publications’ chiropractic patient education materials have been attacked. “You are giving out false information and I’m going to report you; you’re going to be in trouble.” I guess he didn’t like people learning that putting tubes in the ears were unnecessary, and potentially dangerous. I never heard from him again though he may have called my mother. But more seriously, about 7 years later the Federal Trade Commission (FTC) said they received a complaint about our brochures (the Quackbusters and Skeptics came to mind) and as a result they investigated all of our 84 chiropractic education brochures. They found 4 they hated. The FTC especially hated the one on Childhood Vaccinations that stated that polio statistics were “cooked” to show the vaccine prevented polio when in reality it caused an increase of polio. “I want to see where you come off to saying that,” the FTC attorney said to me. I sent him documentation that came from, of all places, the Congressional Record. “Well, let’s drop that one then and concentrate on these other brochures….” They had no case and in time dropped the entire investigation. For a while I was tempted to advertise that our patient education brochures were approved by the FTC but thought it would be best not to tempt fate. Government agents can be sore losers. Dr. Koren, I have a Ph.D. patient that works in medical research. I gave her your brochure on vaccines, and below is her response. 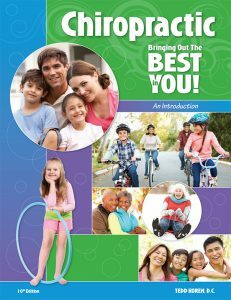 Dr. NV, D.C.
As an epidemiologist who regularly receives chiropractic care, I am deeply disappointed to see that your brochure on vaccination (Vaccination: 18 Reasons to Just Say No) has actually made it to the offices of reputable chiropractic physicians. Not only are most of your claims unsupported by scientific evidence, many of your statements are 100% false. You are misleading your readers, and are doing a disservice to the community. Below is my critique of your brochure. Please feel free to email me back to discuss. Thanks for taking the time to comment on my brochure on vaccinations. Let me address your critiques in the body of your letter. My comments will be in bold. 1. “Healthier” is a very subjective term; how is it defined? Further, the only references cited are for asthma. Therefore, the statement made here is very vague and has no scientific support. 2. Although 13 medical conditions are listed here, only research on allergies is referenced. Autism is listed as a condition linked to vaccination, which has absolutely no scientific evidence to support it. You surely must know that the “landmark” study published by Wakefield on MMR vaccination and autism (Lancet 1998) was retracted in 2010. Wakefield paid the families of the 12 children in the study for their blood, fabricated data, and altered their medical history questionnaires. Many of these children were involved in a lawsuit against the vaccine manufacturers prior to being enrolled in the study, which is a serious conflict of interest. Two other notes regarding this study: Wakefield never wrote that vaccines cause autism in his study, and there is no thimerasol in MMR vaccines, nor has there ever been. In the second paragraph, there are numerous conditions listed that are supposedly linked to vaccination; however, there is not a single reference listed. In the third paragraph, a reference from 1984 is listed, and does not come from a scientific study. Surely something more convincing has come about in the last 30 years. In the fourth paragraph, a physician is quoted as linking autism to vaccination. At the time of this quote (1999), the Wakefield study was thought to contain valid data and conclusions; however, this quote should now be considered invalid since the Wakefield study on autism has been retracted. Tedd Koren, D.C. responses in bold. The pamphlet has 30 references but could easily have 300. Space is a factor. The references do mention asthma and allergies however there are many other studies that compare the health of vaccinated with non-vaccinated children. In all the studies we find that vaccinated children have far more health challenges than non-vaccinated children and I’ll include some of them a few paragraphs down. By the way, do you not find it interesting that no study of health outcomes of vaccinated versus non-vaccinated children has ever been conducted in the U.S. by the CDC or any other agency? With children now getting up to 101 different vaccines by school age no one is asking if this schedule is causing damage. Please note that the safety of the vaccine schedule has never been studied. Most government data on vaccine reactions collected by CDC is contained in the Vaccine Adverse Event Reporting System (VAERS) database. The VAERS is considered to contain only 1% of reportable incidents because doctors rarely report reactions. But most importantly, the VAERS numbers are only immediate reactions, a few hours to a few weeks after vaccination. 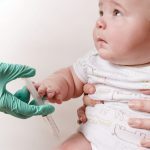 Long-term vaccine-induced diseases and disorders are not recognized by parents or doctors when these conditions develop perhaps a few months to years later and would never be suspected to come from multiple vaccinations. In other words, many children and adults have diseases and disorders that are vaccine induced and they never suspect they are from the vaccines. Children vaccinated with DPPT or MMR had 14 times more asthma and 9.4 times more eczema than non-vaccinated children. McKeever TM, Lewis SA, Smith C. Does vaccination increase the risk of developing allergic disease? : A birth cohort study. Winter Abstract supplement to Thorax. 2002;57:Supplement III. The death rate in vaccinated children against diphtheria, tetanus and whooping cough was twice as high as the non-vaccinated children (10.5% versus 4.7%). Kristensen I, Aaby P, Jensen H. Routine vaccinations and child survival: follow up study in Guinea-Bissau, West Africa. British Medical Journal. 2000;321:1435-1441. The Nederlandse Vereniging Kritisch Prikken (Dutch Association for Conscientious Vaccination, The Netherlands) compared the health of vaccinated and non-vaccinated children using various categories (sickly, eczema, asthma/chronic lung disease, allergies, aggressive behavior, sleeping difficulty, ear infections, inflammation of the throat, convulsions/collapse, need for antibiotics) and in every category the non-vaccinated children’s parents reported a fraction of the incidence of these events than those of vaccinated children. There are many other studies I could refer to, but let’s move on. Dr. Andrew Wakefield’s study was never discredited, he never retracted his study and recently his co-author was exonerated in a British government hearing after enduring repeated attacks by orthodox M.D.s. In addition, his findings on lymphoid hyperplasia and the measles virus (from the vaccine) have been replicated by researchers in other countries. Wakefield’s work was ethical and passed ethical review standards. The attack on him was purely political. There is no truth to the statement that Wakefield fabricated data or altered health questionnaires, etc. It seems obvious to me that you are repeating allegations from journalist Brian Deer, who is presently being sued for libel. Wakefield never claimed that MMR caused autism nor was thimerosal (mercury used in vaccines) discussed in his paper. All he did was report that a number of parents claimed their children regressed to autism after receiving the MMR vaccine. Apparently even repeating what parents told him caused him to be attacked. I needn’t discuss Wakefield’s work in depth here. 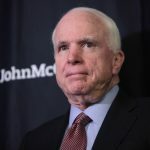 However I recommend you watch his interviews on YouTube or read his book Callous Disregard – autism and vaccines – the truth behind a tragedy for the other side of the story. You have obviously been getting your information from one side only. I’d like to mention two larger issues here. One is the fate of any medical doctor or government employee or newspaper or media employee for that matter who questions the safety of vaccines. They risk attack and the attempted ruination of their careers. At the very least they can’t get research funding and can’t find a job (or lose their job). Is it any wonder why they remain silent? There is plenty of junk science that has been thrown to the media in an attempt to “prove” vaccines don’t cause autism. Nearly all (if not all) of these studies are done by people associated with pharmaceutical companies. 3. You quote an opinion, which is not science. A decrease in infant mortality in Japan was linked to raising the minimum age of vaccination; however, no time frame was listed. Perhaps other factors contributed to this decrease in mortality. In epidemiology, we call this an ecological study, which is unable to assess a causal relationship between two events. In the final paragraph, you again quote an opinion, and one from 1990 no less. The Pediatrics supplement by Cherry et al is based on Japanese health statistics. After the vaccination age was raised the incidence of SIDS dramatically dropped. It is not based on opinion but on fact. If you’d like to read the study please do so, it is properly cited. In addition, once the minimum vaccination age restriction was lifted and children under two could be vaccinated again the incidence of crib death (SIDS) began to climb. Coincidence? You may think so however the DPT vaccine has been associated with infant death since 1933. I have read Offit’s book. It is incredibly biased and one-sided. Offit, who makes millions from vaccines, was on a government panel that approved a vaccine that later killed and maimed infants and was removed from the market. He should hang his head in shame. He is a pro-vaccine fanatic who has stated that children could receive 10,000 vaccines. I’d like him to try it on himself first. Perhaps you should read more balanced material such as Harris Coulter, Ph.D’s book Vaccination, Social Violence and Criminality and the other book cited above. The authors of these books do not have conflicts of interest as does Offit. 5. The statistics here are 20 years old. Back in the early 1990s, there was no good reporting system in place. However, with the help of technology, the FDA is now able to record vaccination adverse events through a systematic and thorough system. You can have all the technology you want but if the M.D. refuses to file a report no report is filed. There is no data to show there is any improved rate of reporting. According to all data M.D.s and health officials rarely report vaccine damage (10% according to the FDA, 1%-2% in other studies). There is no reason to believe that incidence of reporting has changed. M.D.s are loathe to report much less acknowledge vaccine reactions. 6. The heading says that childhood diseases almost “disappeared” before vaccination. This would mean that the incidence of disease declined. However, the statistics provided are for declines in mortality (death). Mortality does not equal incidence. Both morbidity and mortality of childhood diseases were sharply declining before mass vaccinations. For example, death from pertussis and measles was down 95-98% before mass immunization. No researcher could question that. While diagnosis may be suspect and not based on laboratory findings (surely as an epidemiologist you know that) deaths are not so easy to hide. For that reason I consider mortality a more accurate index. 7. The “inclusion” of SV40 in some polio vaccines occurred from 1955-1961 and was an unintended contamination issue. The words used here imply that it was an intentionally added ingredient. SV40 was not intentionally added and I never say that. Vaccination promoters have good intentions, but as it is said, “The road to hell is paved with good intentions.” The fact is they really don’t know what they are doing and are playing with fire. The addition of adventitious toxins or viruses to the vaccine is one example. SV40 was the 40th simian (monkey) virus found in the polio vaccine to that time, however it was the most carcinogenic. The Salk vaccine was contaminated and over 100 million Americans and Canadians were injected with it. The contamination was known, reported and not told to the public. The government permitted Merck to sell and distribute the tainted (poisonous) vaccine. (Bernice Eddy, B. Sweet, MJ Hillman reports from the NIH and Merck respectively). After the contaminated Salk was removed from the market it was replaced with the contaminated Sabin vaccine. Not a good trade off. As you may know SV40 is used to cause cancer in laboratory animals. Is there any wonder cancers in children began to appear shortly thereafter and cancers in adults decades later, linked to SV40? 8. Shampoos and cosmetics are not regulated by FDA or EPA. These statements are misleading. Only color additives are regulated by these agencies. You missed the point. Let me clarify. The point is that our vaccines are poorly tested and while shampoos are tested for whether they can cause cancer, vaccines are not. 9. The first paragraph states that leukemia and brain tumors are rising dramatically. This is true, however, as the reference cited (number 15) points out—in the title no less—the rise in these diseases is due to better diagnosis and reporting. Better diagnosis is not the reason there is more cancer. There is more cancer because there is more cancer. I remember when that same argument was used regarding autism and was shot down by proper epidemiological studies. Sadly these conditions are rising and appearing in younger and younger people. A number of researchers have linked SV40 with brain tumors, leukemias, mesotheliomas and osteosarcomas. However, you imply that this increase is due to vaccination, which is absolutely misleading. The second paragraph cites a reference from 1985, which used data from medical records and self-report. This study is of very low quality. You are trying very hard to disagree but you do not consider the obvious – vaccines contain carcinogenic substances (formalin, aluminum, mercury etc.) and injecting these into children and not testing them for a relationship between cancer and vaccination is unethical and immoral. I’m surprised you are not concerned about this. 11. Again, the link between vaccination and autism has been debunked. Furthermore, you are making false statements. The very first sentence says that the U.S. government admitted that vaccines cause autism, and even provides a reference. If one were to go to the original document, one would see that your statement is a lie. The U.S. government “maintained the position that vaccines do not cause autism.” The true content of the report is not reflected in the brochure. The statistic presented in the last sentence is an opinion and is not based on any scientific study. In the second paragraph, the “three-fold increase” in ADHD and asthma was due to increases in awareness and diagnosis, and is even mentioned in the original article. The link between vaccination and autism was never “debunked” although the CDC has tried it’s best to bury the issue. The CDC helped fund five Danish studies to debunk the autism-vaccine link. Upon analysis they were shown to be fraudulent “junk science” with scathing critiques tearing these so-called “scientific” papers apart. The lead author of the largest study was later charged with fraud. The CDC contacted certain dishonest researchers in Denmark and paid for them to create studies “proving” there was no link between vaccination and autism. Only people who have not analyzed the data in the papers themselves and only read the abstract or press reports would make such a statement as you did. Please do your homework on this issue. The U.S. government said to the effect that the vaccine caused autism-like symptoms in a child with a pre-existing condition (mitochondrial damage). Of course, the fact that vaccines have been linked to causing mitochondrial damage was conveniently ignored. This bizarre selective reading of the medical literature was noticed in media reports. Because of politics the government is refusing to use the “A” word in its court decisions. But the children who were severely brain damaged after vaccines are in fact diagnosed with autistic symptoms. What’s the difference? 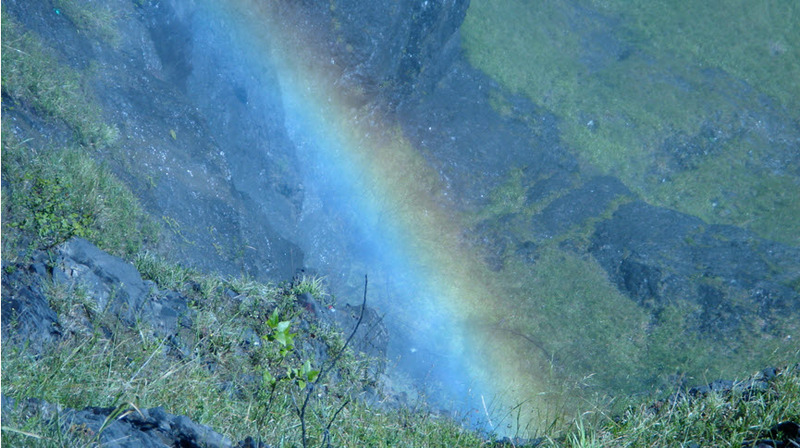 There is none – the diagnosis of autism is based solely on behavioral symptoms. Excuses from the medical profession that “we’re just diagnosing more cases now” are entirely self-serving. There is no proof of that. Of course one may ask if we’re just diagnosing cases better now where are all the 40, 50 and 60 year old autistics? The explosion in autism is real and putting one’s head in the sand only makes things worse. By the way, there are now over 5,000 claims in the U.S. awaiting adjudication on the autism vaccination issue. The real numbers of parents who observed their once healthy children regress into autism are no doubt in the hundreds of thousands. 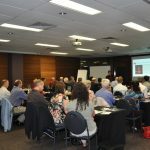 What good research is being done to see if there is a vaccine connection? None. In addition the U.S. government has paid over $2.5 billion to vaccine-injured children. If your child dies the government pays you $250,000. Vaccines are acknowledged to cause death and serious, lifelong damage and this has been known for over a century. 13. Where is the reference that supports the claim that vaccination changes our genetic code? Science News and the journal Nature as well as other researchers. If you want specific references I can supply them. The science of epigenetics deals with this subject in much greater detail. 14. Hugh Fudenberg was a collaborator of Wakefield, the fraudulent physician whose study on autism and MMR vaccination was retracted from Lancet. In fact, Fudenberg had his medical license revoked in the 1990s and is no longer allowed to practice medicine. Despite his inability to legally practice medicine, Fudenberg currently charges $750/hour to parents who are interested in finding a remedy for their children’s autism. The study that seems to link Alzheimer’s to flu vaccine was not an actual scientific study. Further, the flu vaccine studied was manufactured from 1970-1980. We have made significant advancements in the content of our flu vaccines since that time. I know Dr. Fudenberg personally. I never heard that he collaborated with Dr. Wakefield. What study did they work on together? Dr. Fudenberg’s medical license was revoked because an office assistant was using his forms and forging his name to obtain drugs. Dr. Fudenberg is legally blind and instead of going into legal battles decided to give up his license. Please check your sources before making such inflammatory statements. Dr. Fudenberg claimed that the mercury in flu shots caused Alzheimer’s and his study was published. The mercury in multi-vial flu shots has not been removed as of this date so the dates are irrelevant. Other researchers have linked brain damage to the aluminum in vaccines. Dr. Fudenberg is the one of the world’s leading immunogeneticists with over 800 papers published in top biomedical journals and is the recipient of numerous medical awards throughout the world. His work on transfer factor and its application has reversed the condition in a number of autistic children. The cost to care for an autistic child for his life is $1,000,000. What do you think he should charge for his services? Calling Dr. Wakefield names is uncalled for and libelous. 15. Natural immunity does not always last a lifetime. Further, not all natural infections induce immunity. The final sentence is also misleading. The study cited suggests that febrile illness in children may increase the risk of cancer as an adult. Even if the febrile illness is induced by vaccination, this is NOT the same as saying that NOT having febrile illness will LOWER the risk of cancer. The findings are being mis-interpreted. Medical textbooks repeatedly state that once a child has had measles, mumps, etc. they have permanent immunity. There have been reports of a person having had a childhood illness more than once but that is considered extremely rare. 16. The study cited here is grossly misinterpreted and your statements are entirely incorrect. It is clear that you did not read the study. You state, “In one school, out of 137 children who contracted measles, 98.7% were vaccinated.” In the study, it clearly states that 98.7% of children in the school (where most of the 137 cases occurred) were vaccinated, and none of the students who were vaccinated properly became infected. The vaccine efficacy was estimated to be 96.9%. As for the second study cited, the pertussis strain that infected children was a mutated strain that was not included in the vaccine. Obviously, those who were infected with the mutated strain were not protected by the vaccine, because it was not included. You claim that receiving pertussis vaccine increases the chance of getting pertussis; this is misleading and incorrect. I see this kind of thinking often. When one vaccine is given and epidemics break out the vaccine schedule is changed because “obviously” more shots are needed. There is medical blind faith that the shots work. When the DPT vaccine came out one shot would give lifetime immunity. Now children receive five DPT shots and there are still epidemics of these conditions mostly in the fully vaccinated. Similar with MMR and Varicella. By the way did you know the death rate after Gardasil is now over 100 young girls? It’s an improperly tested vaccine that does not work. 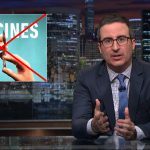 The medical community sees the continued epidemics in vaccinated populations as an excuse to vaccinate more, not to question whether the vaccines work in the first place. The Netherlands study cited that those who had been vaccinated with pertussis had an increased chance of getting the disease in an epidemic. I don’t see where this is misleading or incorrect. Please show me. Vaccinated children have lower natural immunity and weakened immune systems. “Mutations” are always occurring and the non-vaccinated have the best defenses against them. 18. Natural immunity does not always last forever. In fact, some infections, including the human papillomavirus (HPV), do not induce much natural immunity at all. This is particularly important for males, because their immune system does not seem to create an immune response against HPV infection. HPV is in most sexually active women and causes no cancer. HPV has never been linked to cancer since cancers have many different viri in them. 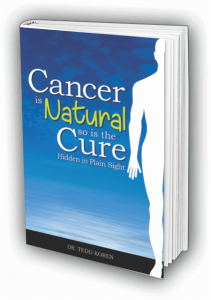 HPV by itself does not cause cancer, and even the FDA states that there must be other contributory factors (I could give you chapter and verse if you wish). Dr. C—- from your remarks it is obvious that you have been relying on very biased sources and have not read the actual research. We have the sickest children in the world with a multitude of chronic physical and emotional/neurological disorders that were rare or nonexistent 100 years ago. As the vaccine schedule increases so do the autistic and damaged children. No amount of arguments or “junk science” attempting to “prove” the safety of vaccines can stop the damaged children from coming. If you do really care about children I recommend you investigate the comparative health of vaccinated and non-vaccinated children and whether it is worthwhile to place so many children at risk in the hopes of “preventing” diseases that are today generally mild and not life-threatening. Perhaps the most serious issue is that thousands of parents will tell their doctor, “My child was developing fine and then regressed after the vaccine” and the doctor ignores the parents and re-vaccinates the child, often with tragic consequences. If you are truly interested in epidemiology I suggest you investigate this area of regressive autism; it will open your eyes. Why do you think we have so many neurologically and immunologically damaged children today? 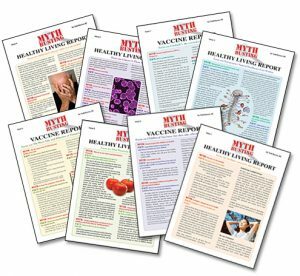 We have more literature on vaccination and other health issues at www.korenpublications.com and I recommend you review them. Postscript: I have yet to hear back from her. 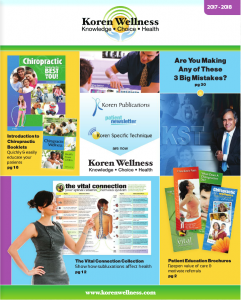 Koren Publications provides popular chiropractic, vaccination and natural health information. Go to www.korenpublications.com to see what all the excitement is about.